Words can't be expressed about both of you personally and your care of loved ones. It is a difficult time that you help so many families through. God has truly blessed both of you with a caring compassionate spirit. Thank you so much for that spirit during the loss of our loved one. What an Exceptional group of people . Very Compassionate. Brian was absolutely amazing explaining everything to us and was very kind and professional . The entire staff was caring and supportive and handled everything very professionally. Charley looked wonderful. He looked as if her were sleeping. Everything was perfect. The information and attention to detail far exceeded our expectations. Charlene, we loved the video, the pictures, the memory book. The entire staff was great. You really took care of all our needs. Brian was very compassionate and caring. The care that went into helping us plan and the compassion to our needs was outstanding. Everything was perfect. Brian was amazing. He was very kind and caring. The service we received was great. We cannot say enough about how Brian took care of every need we had. Everything was beyond our expectations. Brian was wonderful. He was so compassionate, caring, knowledgeable, and helpful with insurance as well as the VA. We felt no pressure. I can't think of anything more you could have done to help us. Brian did an excellent job. We appreciated the respectfulness to not only the deceased member but to family and visitors alike. The DVD was excellent. We were very happy with it. Melcher-Sowers met our expectations 100%. My family and I would like to express how wonderful the team of Melcher-Sowers was to our family with the loss of my sister and my mother and father's daughter. We felt very comfortable talking with Brian, he made this painful event a much easier task and made us all feel as if we were a part of their family. Their team paid close attention to details that we wanted and saw that everything d went smoothly. I highly recommend them to anyone in their time of loss. They genuinely care for your and your family. Brian, We realize our families grief is not exclusive. But you certainly made us feel as if it was. Your compassion and care for Mom and guidance throughout the planning process was, we felt, above and beyond and most of all genuine. Thank you to you and the entire staff for your patience, your time and your help. 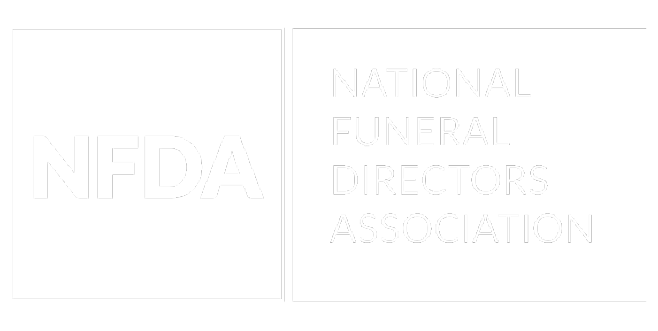 Jerry - Thanks to you and Brian for your love and devotion to your calling as funeral directors! Perfectly done! Jerry & Brian , Thank you for the care you provided for our dad. You go above and beyond your calling. We did not feel any pressure to do or spend more money beyond our needs. The entire staff was knowledgeable and made the entire process easy. Brian is very good at his profession, a God send to people at this time in their lives. Thank you. The attention and courtesy to the family needs were graciously met! The ease of making the final details thanks to Brian. Most meaningful to us is that Jerry, Howard's Uncle, was able to be the family that we needed to get through. Jerry made the transition we had to go through as smooth as possible. Thank you for being there and all of your prayers Jerry. Charlene the video was wonderful and the cookies! I nor my family would ever consider using anyone but you during such a difficult time in ones life. I have often said that if you looked up the word Humanitarian in the dictionary, you would find a photo of Jerry Sowers. I will never forget the dignity you and Brian showed that night my grandmother's body had to be removed from our home, And, Jerry and Pam helped us through one of the most unthinkable times for my family when you took care of everything including the funeral expenses when my brother lost his first child and my parents first grandchild. I have also heard of similar stories from others about your level of care and kindness. Thank you so much for all you do. Mr. Brian Sowers was helpful and sensitive to every detail. He was a very calming presence. The preparation and appearance of my loved one was very well done. She looked just like herself. We were very well pleased with all of your services. Brian was very understanding and took the time to actually sit down with our family and explain cost and available services. We appreciate the understanding of the families financial situation. Brian worked with us to give Bobby a nice service. The service provided by Melcher-Sowers Funeral Home was beyond our expectations. Jerry was wonderful. He made everything as stress free as possible for us.He was on top of everything. Melcher-Sowers made my mother's funeral beautiful and surprised me with a wonderful gift. Consistently kind, friendly, efficient, reassuring, accessible, everything you could want with end-of-life planning for yourself or a loved one, either in advance or unexpectedly. I'm trusting them with my last decisions and I trust them with my last decisions. It feels good. They are 10 out of 5. They are very caring and very detailed in every way. Sincere and caring family. They make you feel like you are part of their family and treat your loved one the same. This is their calling, not a business to profit from. My brother was cared for in every way and so was my whole family. I personally felt very comforted and so much that I had to take care of for other funerals of loved ones, was taken care of by them. Spiritually taken care of through the process. I wish everyone going through this difficult time of losing a loved one could be cared for in the way we were by this family. Take my word for it. I didn't know there were people likes this family who could take you through this process and ACTUALLY CARE ABOUT YOU AND YOUR LOVED ONE. If I could have them come to my state to take care of me when the time comes, I would. They are truly a blessing. God bless them always. No doubt about it! We have unfortunately had to bury way too many in a short amount of time. These folks made us feel at home every single time. Highly recommend! Very friendly staff! The owners are fantastic people who are very caring and pay close attention to detail which is very important in this business! At the unfortunate event of a death in my family there is no one else we would call! Our mother Edith Williams passed away the 8th of April. Our Family can't express enough THANKS to Melcher-Sowers funeral home. From the very 1st day until today they are still helping our family. The service was very nice and our family was very impressed with all the support from Jerry and Brian and family. With all 450 plus guest that came to see our mom we never once had any issues of any kind. So many had said that it was an very impressive service to your mom. So THANKS again for everything!! There are not enough words to thank you for providing the beautiful service Melcher-Sowers provided for my brother Ralph. The service was heartwarming. In fact the service you provided went beyond what was expected. We thank you very very much. I want to thank Melcher-Sowers Funeral Home for the wonderful arrangements of Paul Brunswick’s memorial services, especially Jerry Sowers, who helped me with everything he did for me. He is a very special person!